Since I never get time to write anymore, the answer is any at this point. Considering I am at the halfway point with two – and a third has the beginning and ending only – I’d have to say the middle chapter is the most pressing. 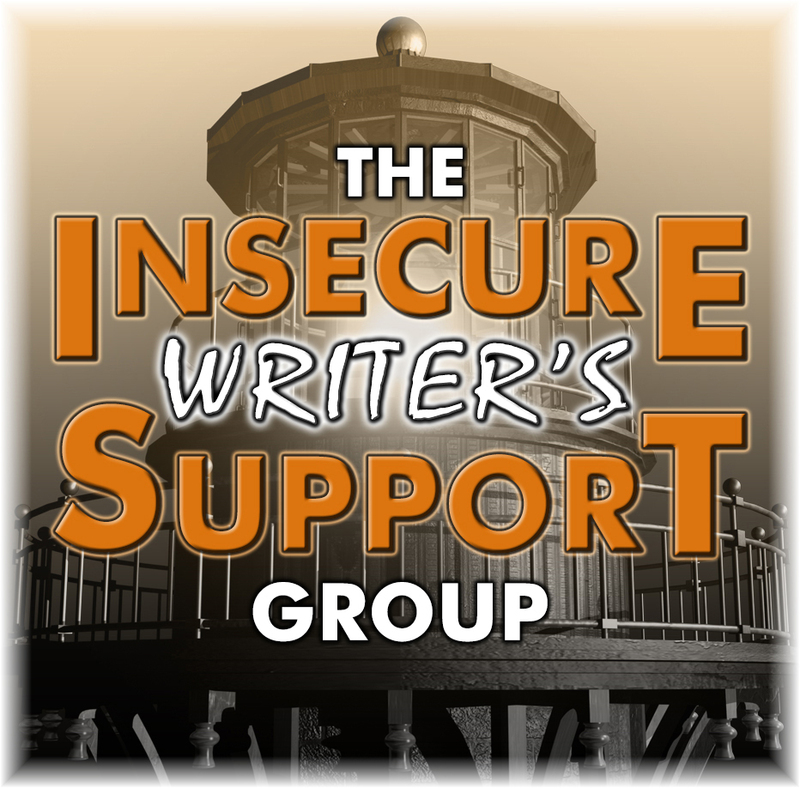 The Insecure Writer’s Support Group Anthology Contest will open early this year. 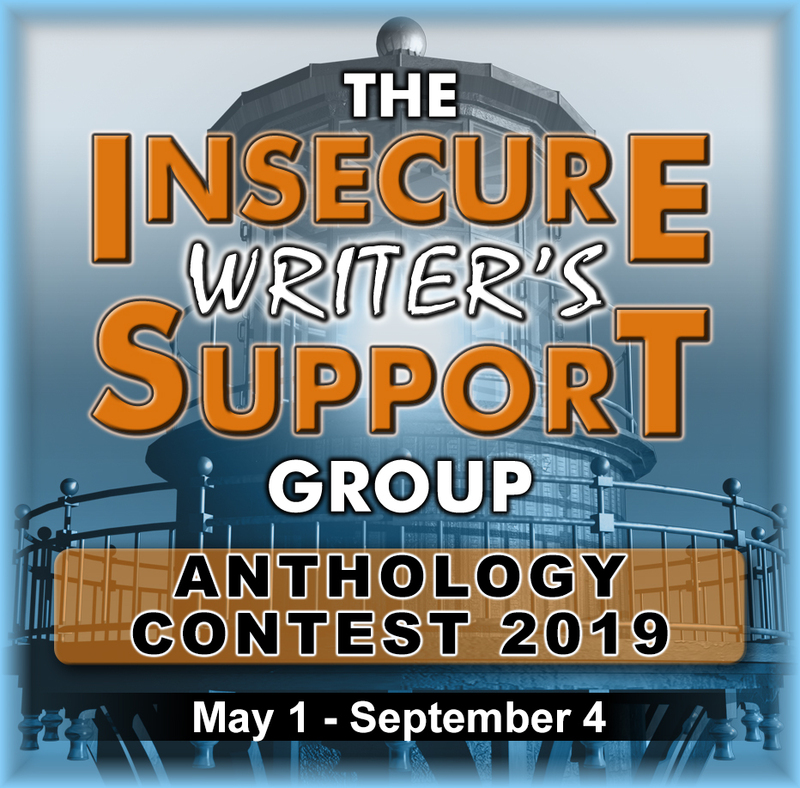 Submissions will open on May 1 and close on September 4, 2019. The theme and full rules will be posted on May 1. Stay tuned! 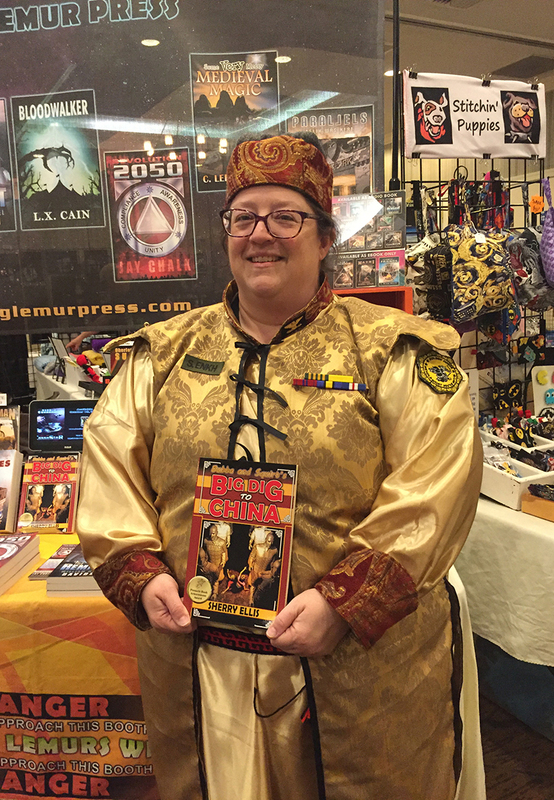 The first one is Episode 241: Twisting the Tropes of Military Science Fiction — Interview with Glynn Stewart. 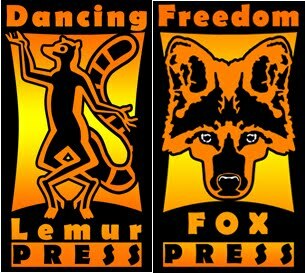 Dancing Lemur Press had a booth March 22-24 at FantaSci. It was a very successful event – they were book-buying people. 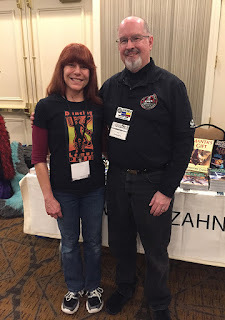 And here I am posing with the author guest of honor, Timothy Zahn, He was the nicest, most humble author I have ever met. Despite being a big name (he writes Star Wars books in addition to his own) he wanted to be in the room with the vendors rather than out front with the other featured authors, and he was willing to sign anything and talk to anyone. What section or part do you need help with? What well-known authors have you met? Ready to write a middle grade story? Congrats on the con success. Good to know about Zahn! You know, I find that most people that are creative and have made it big are humble people. Especially among writers. There are many that I have met that want to pass it on, and I find that absolutely the hammer. It makes me smile and want to do the same even though I haven't sold my first book yet. Love the pictures! FantaSci looks like fun. And great photo with Timothy Zahn! 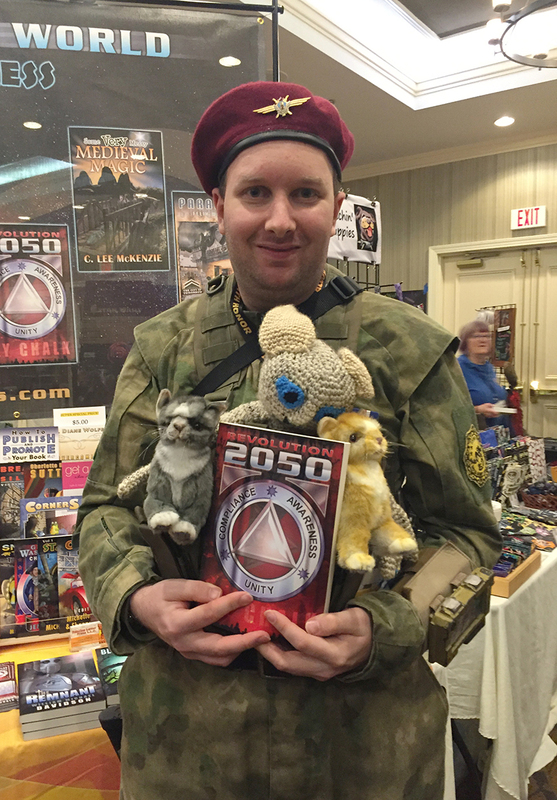 MG is my jam;-) The con looks like a lot of fun! I just need to create more time to write. Sounds like a great event. And awesome that you are going to those events and spreading the word about the books you're publishing. I'd don't have much time for my writing either. Wish that would change. Natalie, we both need to make time. Looks like you had such a blast at the event, Diane. Great pics. I haven't heard of Zahn, but he sounds like a really nice guy. I've met quite a few bigger name authors, by virtue of the conferences I attend and panels I've been on. Tess Gerritsen is incredibly sweet, funny, and humble. Chuck Wendig is very kind and authentic as well--he really cares about the writers he meets. George R.R. Martin is an every man. Funny and gruff. Diana Gabaldon is easy to talk to and brilliant, and she's always wearing something fabulous. Most of the time, she's highly approachable and kind. There's one author, who shall remain nameless, who eviscerated my work during a blue pencil session and was cold and unfriendly when I was a conference attendee. When I was a fellow panelist and presenter, she was as sweet as pie. That told me all I needed to know about her character. I have met a big name author who sounds similar. It was obvious she'd had a lot of courtesy training but it wasn't genuine. Love your pics from the con! :) I agree the middle is the toughest. At times, those saggy middles can drive me nuts! The middle, Ack!!! So true. A writer has to keep up the suspense so the reader doesn't lose interest. A few tidbits of info, answers to questions, might help the reader turn or swipe through those pages to the climax. What great costumes in those pictures. That must have been fun. I've gone to some talks by big name authors (Margaret Atwood, Chimamanda Ngozi Adichie) and even have a few signatures in books. We had Tomothy Zahn sign three books for us. That's so cool Zahn is a nice guy. I'm looking forward to the next anthology! I keep thinking/hoping I'll finally have a submission to make. Love the way adults get to play dress-up. It's like Halloween for adults. Mr. Zahn is truly humble and accessible. It's wonderful when big-name authors retain those qualities. I don't think I personally met him, but well-known Albany, NY author William Kennedy came to speak at my elementary school in the early Nineties, and I was in the audience. There's a picture of the event somewhere, with both of us in the frame. Middle grade fantasy and horror author Bruce Coville also came to speak at my elementary school around that same time. Another successful con! And I see we share the middle as our challenge. Wow! Sounds like the con was a great success and fun to boot. Hi Diane, congratulations on your success. Good luck with all your goals, both writing and publishing. I imagine you don't have much time to write. But if it helps, you run one of the best, most helpful publishing houses I've ever worked with! You deserve a pat on the back for that. Elizabeth, thank you so much. I really needed that right now. That looks like fun. First chapter is always the one I struggle the most with. I have no idea why the Blogger "B" is showing up instead of my image. Sigh. I feel you on not having much time to write. I hope you manage to get through the middle and work toward the end! I'm glad there is so much great stuff for middle grade readers. It didn't used to be so. I've met some 'famous' writers. One of the nicest is Jonathan Maberry. I'm not sure I could write a middle grade story. I can't even think of the last time I've read one :P. Better leave it for more skilled writers. Nice picture, makes me smile. I've met and befriended Cheryl Strayed. Always nice to meet a big name who is as humble as the rest of us, or even moreso. As to the question, if I could get my final chapter written of my WIP, that would give me the motivation I need to get through it. Great pics! You obviously have a lot of fun at the cons. 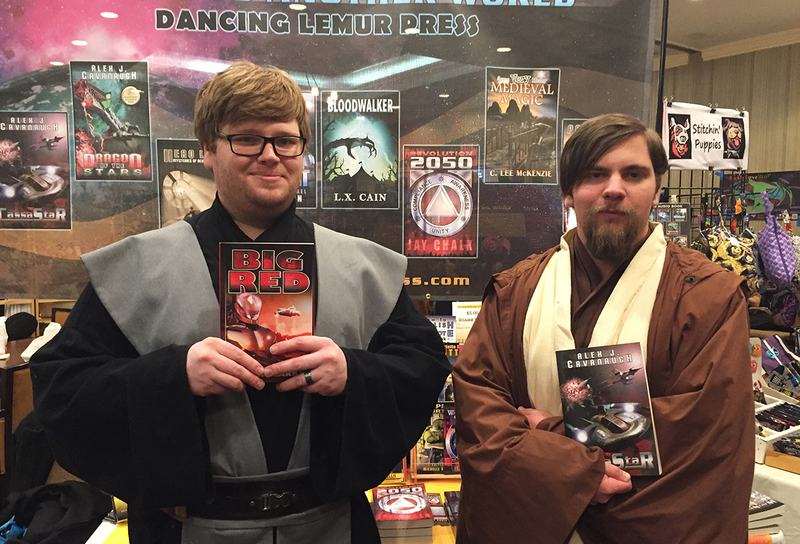 We have fun, sell books, and spread awareness of our company and titles - all a big plus. Oh wow, Timothy Zahn. My favorite SW writer. Greatest villain ever is Thrawn, and yes above and beyond Darth Vader. I also really liked his Mara Jade, The Hand to the Emperor. Talon Karrde and Booster Terrick smugglers. Oh my I loved these characters. They still stand out in my head today as characters I knew, like friends. I gobble up his novels back in the day. I want more story with them. I need to check his new stuff out. Congratulations on all the sells. Great pictures. Looks like you had fun. I really want to go the SW Con in Orlando. I have lived in the area 5 years now and never went. Of course I now have walking issues but I am still dreaming about doing it despite that one day. I met Tanya Huff once, and wasn't impressed. I like her books, especially her blood series, but... Sometimes, it is better not to meet your favorite authors, lest you be disappointed. Great pics. I guess the most famous author I've met was Janet Evanovich. She was delightful. But I don't speak 'middle school' so I'm out of luck there. Ah, the muddle in the middle, good choice. 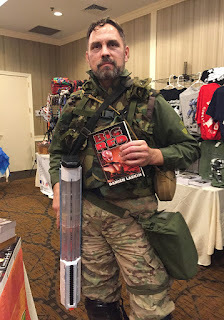 Looks like it was a good con. DIY MFA sounds amazing. What a great idea. I'll be checking out Timothy Zahn. Why wouldn't a writer want to be nice to his readers?? I will dote on you all!! Love the con pics! Glad it was successful and you had a good time! Its cool being a fan of science fiction. Fans love nerding out, meeting up and geeking out. Its always fun. Great photos. Looks like FantaSci was a lot of fun. I think I've read a Timothy Zahn Star Wars book! Great photo. Congrats on selling some books! That's not easy these days. I hope you get more time to write soon. I was the moderator for Christopher Paolini's sessions at RMFW's conference in the fall. I also got to have dinner and drinks with Jonathan Maberry and a group of writers at the PPW conference last year. Both highlights of my con experiences. Sorry you don't have time to write Diane, but the praise you get from authors must be worth having. 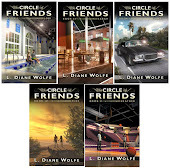 I enjoyed this post, Diane, and especially the photos. I've met a number of well-known authors; many were awesome. I'm glad that you had a successful book-selling convention! Great pics Diane. So explains why you have no time to write anymore! I'm intrigued by the MG genre. I work with middle schoolers! Congrats on the successful book festival and meeting the authors! I hope you get more time to write. I'm always excited when you go to these just because I know there will be more pictures. Always a treat! And wow! I wasn't expecting MG for the next anthology. Another great surprise. That should be easy for you. Great photos. Sounds like a fun time! Your world has expanded since becoming a publisher, hasn't it? Enjoy. I love those photos! I was totally blown away when I saw you standing next to Timothy Zahn on Instagram! I think the most famous author I've met is either Mercedes Lackey (fantasy author) or Rick Steves (the travel guy). Love the pictures! I hope you'll get some more time to write your own stories. 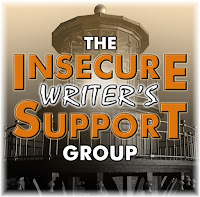 That's a great idea to give people a bit more time to write their IWSG anthology story too. The photos are so fun! It must be so nice to people dress as their favorite characters. I hope you get more time to write--or at least have a creative outlet. FantaSci looks like it was a great convention. We don't have many good ones up here in Michigan. Hope you had a good time. So you've got three books on the back burner....Excellent! Great pictures. Glad it was a success. Hope you find more time to write your novels. The convention looks fun. I've met a lot of people who have written books, but offhand I can't recall any that I would say were famous. Seems like I might have, but no names come to mind at the moment. I've met a lot of people in my years so far. It must be really hard to be a publisher and not have time (or energy) to write your own books. I love seeing all the con photos. You got some good ones! 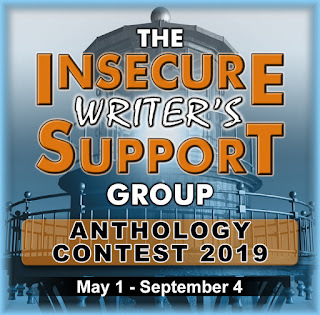 The anthology genre this year sounds like something right up my alley. Maybe I'll write something for it. The con photos are great! They enjoyed a visit from my in-laws last week. Well, Rocket eventually enjoyed it. She warmed up to them though. 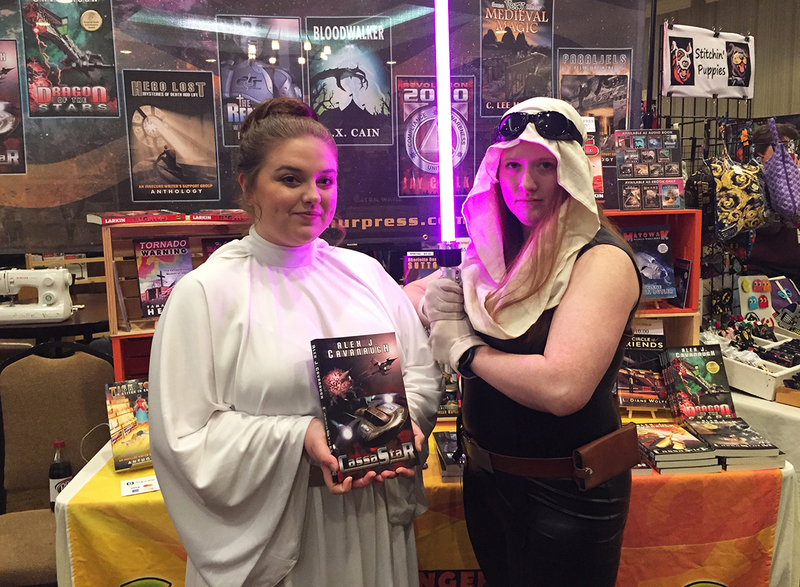 What great pictures and to how fun to meet Timothy Zahn! Time to write can be tough when you have so many other great things going on. A time will come again for you, I'm quite sure!